Even as violence engulfed parts of Kerala after two women, with the full backing of the Marxist led government entered the Sabarimala temple, debate has been triggered whether the ‘tantri’ (head priest) of the temple has committed contempt of court by closing the shrine for about an hour on Wednesday morning and holding a “purification” ceremony. Tantri Kandararu Rajeevararu closed the sanctum sanctorum at 10.35 am for performing the purification rites in the wake of official confirmation of the entry of two young women into the temple. Darshan was resumed after the rites by 11.25 am. TDB president A Padmakumar said the Tantri had performed the rituals without obtaining the board’s consent. But the tantri told the local media that he had told the TDB president over phone that the purification rites would have to be done. 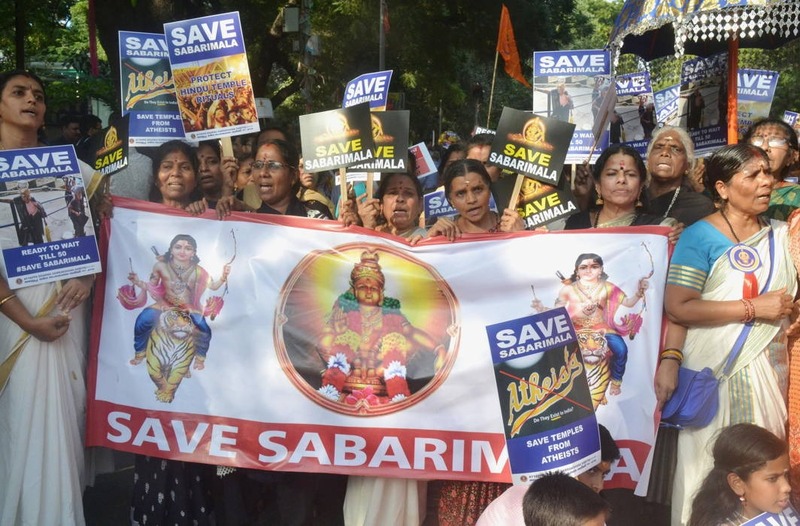 He said he had discussed the matter with Devaswom executive officer “Being the chief priest, I am duty-bound to follow the ritualistic practices at Sabarimala,” he said. Devaswom Minister Kadakampally Surendran said Rajeevararu had no legal mandate to close the shrine on his own under the manual of the TDB. In its Sep 28 verdict, as of now operational but up for review on January 22, the SC has clearly laid down that any form of exclusion based on concepts of “purity and pollution” amounts to untouchability, a practice abolished under Article 17 of the Constitution. A five-judge Bench led by Chief Justice of India Ranjan Gogoi is scheduled to hear on January 22 a bunch of about 50 review petitions, including one by Rajeevaru, against the verdict which struck down the ban on the entry of women of menstrual age into the temple.